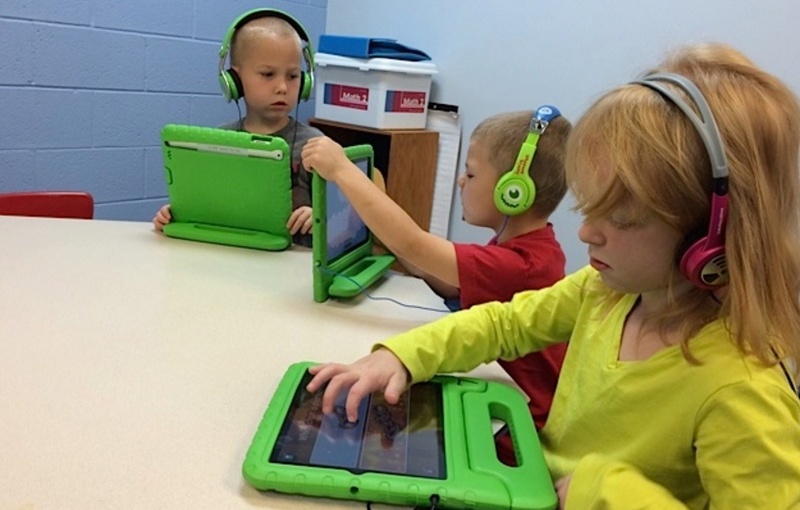 Kindergarten teacher Cathy Solmson says her students love sitting and listening to a story on an iPad more than anything else in her classroom’s literacy center. “They can pick out a book and sit and listen to it on Youtube. They are so engaged,” she said in a recent interview. It’s critical for schools to provide a culture of reading, especially in early education. According to the U.S. Department of Education, “26-percent of children who were read to three or four times in the last week by a family member or someone else recognized all letters of the alphabet. This compared to 14 percent of children who were read to less frequently.” Solmson says her literacy center is always available so that students can pick up a book, scan the QR code and listen to a story at any time during the day, which is a notable benefit of technology-based reading and storytelling. In the literacy center, Solmson uses apps for phonics, word recall and building words like Hungry Monster and Sound It Out. According to a 2014 Napalearns study conducted over the course of three years, preschool and kindergarten students' scores on the Peabody Picture Vocabulary test showed “statically significant gains for both native English speakers and English learners in expressive and receptive English language skills, a prerequisite for reading” after iPads were introduced in their classes. Solmson also has a math center in her classroom where students can play various math apps like Line ‘em Up for about ten minutes at a time. Some apps, like Kindergarten Math Standards, have the option for students to play in groups, allowing districts to maximize app licenses and teach students skills like collaboration and critical thinking. 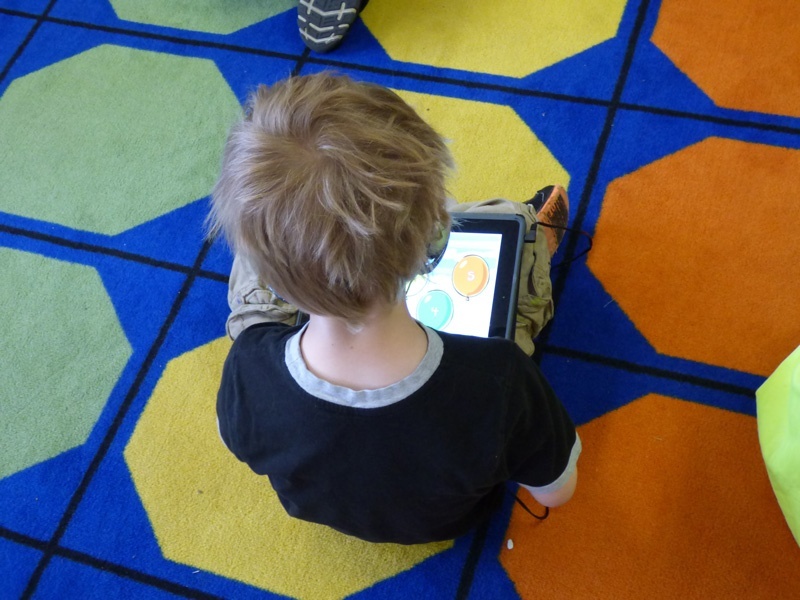 Thinking of introducing iPads to your district's early education classrooms? Unlock 7 tips to help teachers develop time effective, developmentally appropriate methods of utilizing iPads in preschool and kindergarten.